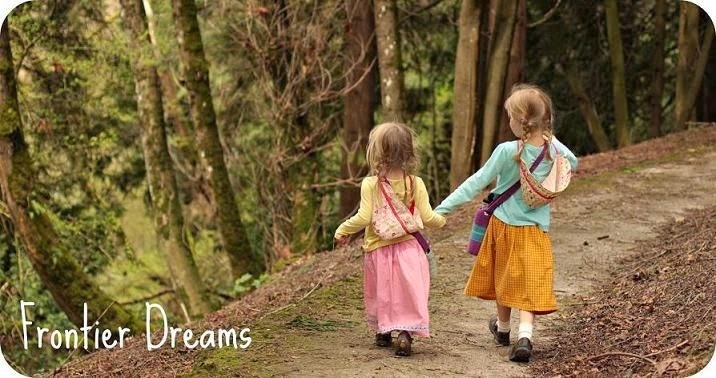 Today I am delighted to introduce you to Summer, the founder of Butterbean, a mama-owned business located outside of Atlanta Georgia. I have truly enjoyed getting to know Summer over the past year or so since my wonderful friend Ginny put us in touch. Summer has such a kind heart that shines even through e-mail correspondence. I couldn't be more happy sharing and supporting such a wonderful business!! Before I welcome Summer and have her tell us a bit more about Butterbean, I wanted to share our own experience with her products. I have been on what felt like a never-ending quest for a safe and natural sunscreen. I wanted something that I could feel good about putting on my children. Our skin is our body's largest organ so I feel that what we put on our body is just as important as what we put in it. I had a rough relationship with sunscreen pretty much all my life. My fair Irish complexion didn't enjoy the sun but then sunscreen caused me to break out in rashes. I just couldn't win. 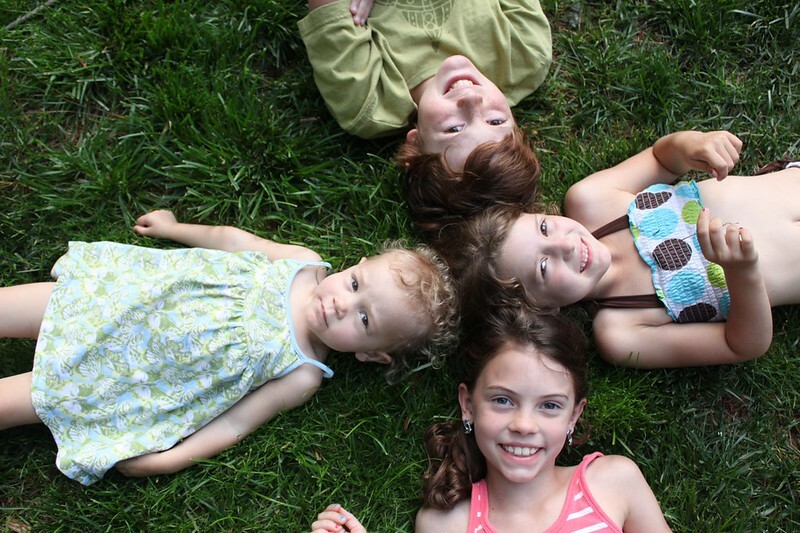 My children have inherited my sensitive skin, and have the same issues that I do. I tried one natural sunscreen after another but every one that I tried either caused skin irritations, was thick and goopy or just simply didn't work. Thankfully, that all changed last summer when I discovered Butterbean sunscreen. The first thing I noticed when I opened it up, was the smell - it smelled like summertime to me. I put it on my face and it rubbed right in. I remember thinking, We finally found what we have been looking for! We spent that summer putting our Butterbean sunscreen through the ringer and each time it came through with flying colors. 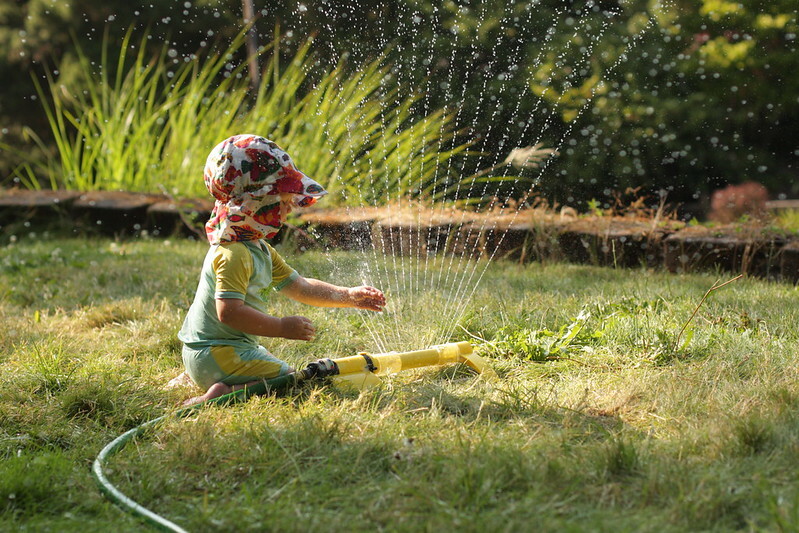 The ultimate test for us was our favorite sunny day activity - running through the sprinkler. Not one of my children got burned. That was it, my quest finally came to a happy end. Summer also has a new bug spray this year called bug-a-boo. I was charmed by it's name because we sometimes call Little L that. Since it was created by Summer, I knew we would love it. I was right. We tried it out for the first time when we spent some evenings out by the campfire in our backyard. Once again the smell was the first thing I noticed. 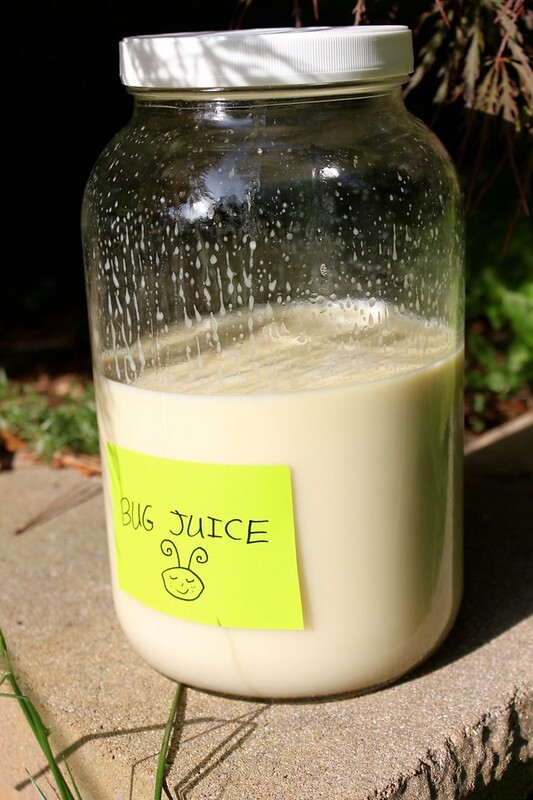 Unlike other natural bug sprays we have used in the past, this one has a nice, non-overpowering, pleasant scent. The bugs, on the other hand, didn't appreciate the scent as much as we did. They never once bothered us. But enough about us. Please join me in welcoming Summer! Thank you for your interest in Butterbean! 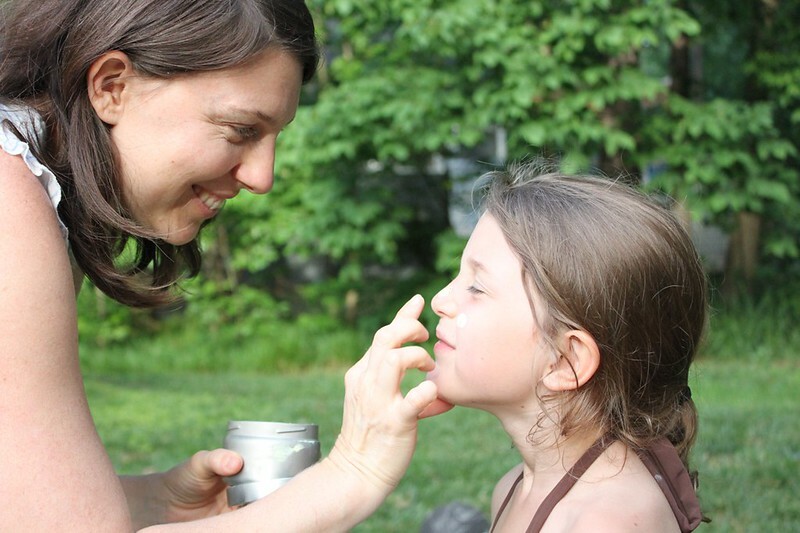 I got the idea to make my own sunscreen when I was pregnant with my fourth baby. I grew up in a health conscious family, so I became used to questioning ingredients from an early age. I was the kid eating sprouts on my crumbly homemade sandwich while the other kids peered at me over their Lunchables box with squinched up noses! It embarrassed me at first, but I soon realized that my mom made these choices because she wanted the best for me. I grew up in Florida so sun protection has been drilled into my brain. I wanted to have a sunscreen that I could pronounce all the ingredients! After research and trial runs, I came up with a sunscreen that seemed good on all skin types and made my family and friends happy in the sun! I think the greatest thing about my products is the ingredients. I use the very best ingredients from the most reputable suppliers. My coconut oil is certified organic, fair trade and raw (which preserves the beneficial components). 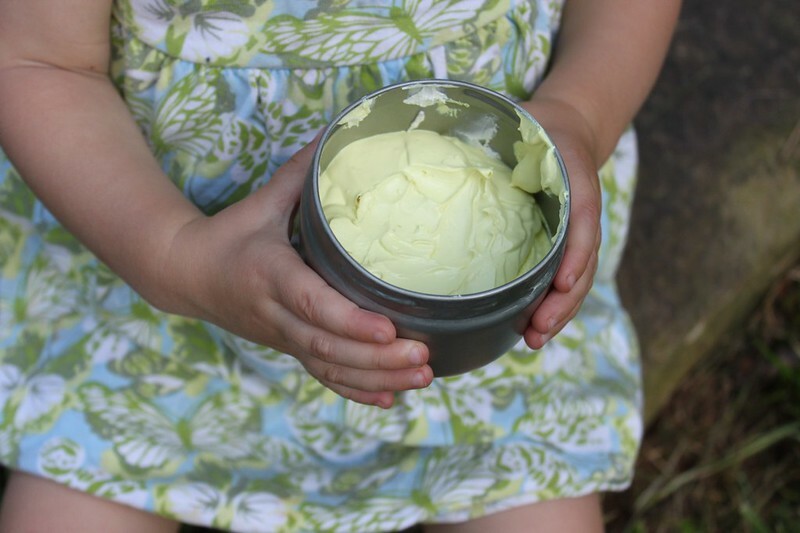 The Shea butter is certified organic and sourced through a company in VT. The owners go to Africa to buy Shea from the local women. This ensures fair wages and conditions as well as understanding the process from start to finish. My favorite is the beeswax. I just love the guy who sells it to me. Anyone who can speak bee has got to be pretty intuitive and have a big heart. The beeswax smells like warm liquid flowers, and what the bees have been eating determines the color of the wax (as well as the color of the sunscreen). Sometimes it is creamy white and sometimes it looks like eggnog! My apricot kernel oil is free of chemicals, and my vitamin E is from a company that makes a pledge against GMO’s. 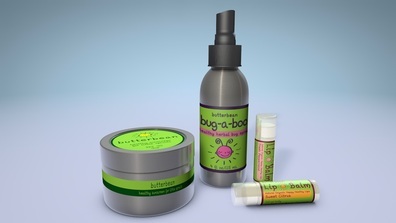 I am excited to offer 2 new products this season—Bug-a-boo bug spray and Butterbean lip balm! My favorite lip balm is Burt’s Bees because it has the perfect amount of peppermint and a nice texture. I have modeled my lip balm after it. You will have to let me know what you think! My children do not like peppermint lip balm. They claim it is “too spicy.” So, I made a flavor with them in mind. I use pure, steam distilled essential oils of sweet orange, lime and grapefruit to give a smooth warm feeling that is perfect for moisturizing lips! Bug-a-boo bug spray is a safe and effective way to keep pests (not people) away. Bugs despise Neem oil so that is a significant ingredient in our bug spray. Neem has a garlicky smell that is not overwhelming when paired with citronella, lemon grass, cedar wood, and peppermint oil. Bug-a-boo feels soothing and fresh on the skin. I must say that Butterbean would not be up and running without the help of my family! My husband, Thomas, has created the images and color scheme. My children help tape boxes and place stickers. They also wait patiently when their mother is running around blending sunscreen or making their house smell like a citronella candle. Thank you all for your support and encouragement! For today’s giveaway Summer is offering one lucky winner 1 gift box which includes 1 3oz sunscreen, 1 bug-a-boo, and 1 lip balm. 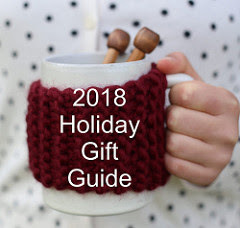 For your chance to win, simply leave a comment on this post! and please make sure to come back and leave me another comment letting me know you did so! I will close comments on Thursday June 13th and announce the winner within this post. Comment closed! Sorry for the delay - graduations and very last day of school (possibly ever). Pale fingers double crossed on this one! Congrats Julie! Please e-mail me at: farmergopi (at) yahoo (dot) com. Thank you, Summer. Best of luck everyone!